It was our third time we have visited Villa Velvet. Always friendly staff (the same people we have met here four years ago), very clean. It's very convenient to get to Nice or Antibes, everywhere. We liked that the huge supermarket was in 5 minutes by walk and in 10 minutes the long promenade. Super job! It was very clean, shower was excellent. 2 A/C was available in the unit. Easy check in. Great view. 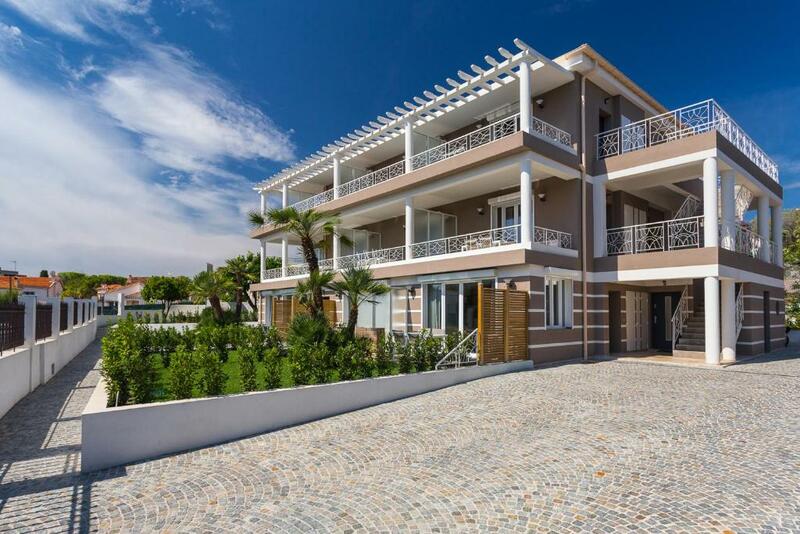 10- 15mins walk to the beach and supermarket . Pharmacy close by and public Children park available. Two tv’s and mini kitchen available complete with everything. 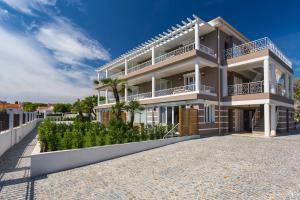 It is a very nice apartment house with fully equipped apartments. Very kind and helpful staff. Very friendly staff, clean room equipped with all facilities. The room temperature was set to a very comfortable level. The place is new and very clean, the garden is very nice and relaxing. The manager was very polite and professional, the staff obviously is good since the rooms were always clean. The situation of the place is also comfortable. Very pleasant place fully equipped and nice, helpful staff. excellent property which was kitten out very well. The location is perfect. The facilities in the premises are fantastic. The kitchen, washing machine and drayer. , the hospitality of Orali and the staff, very clean, the parking. Lock in a great price for Villa Velvet – rated 9 by recent guests! 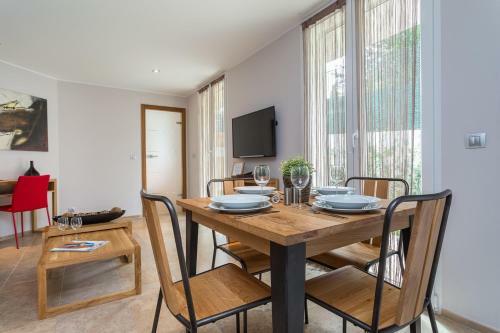 One of our top picks in Villeneuve-Loubet.Villa Velvet is a residence of self-catering apartments and studios located in Villeneuve-Loubet, just 1,650 feet from the beach and 4.3 mi from Antibes. The accommodations feature a balcony or terrace, a kitchen, dining area, bathroom, flat-screen TV, free Wi-Fi and air-conditioning. Those on the ground floor offer garden access. Self-catering, the accommodations include an oven, stove, microwave and fridge. Many restaurants can be found in Villeneuve-Loubet and Cagnes-sur-Mer. The property is located conveniently 0.6 mi from the train station. The city center of Nice is just 9.3 mi away and Côte d’Azur Airport 6.8 mi away. 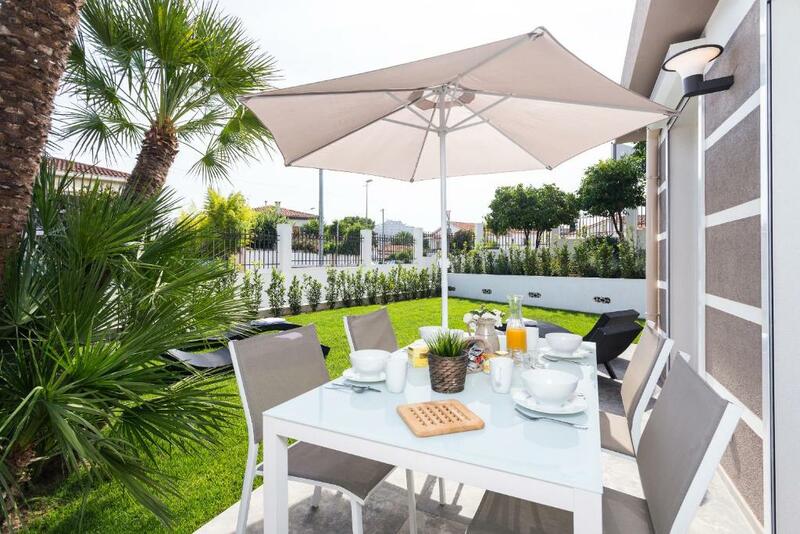 This property is also rated for the best value in Villeneuve-Loubet! Guests are getting more for their money when compared to other properties in this city. When would you like to stay at Villa Velvet? This studio features a balcony, kitchen, dining area and bathroom. Amenities include air-conditioning, heating, a safe and a flat-screen TV. 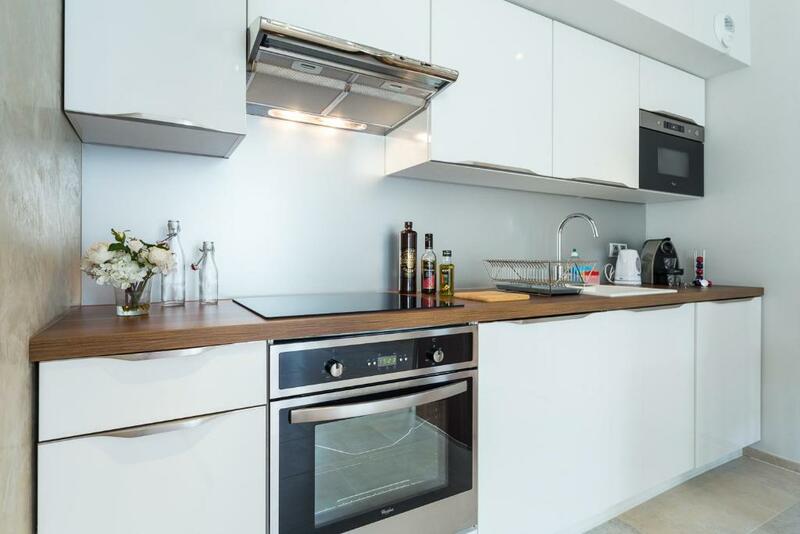 This superior studio features a balcony, kitchen, dining area and bathroom. Amenities include air-conditioning, heating, a safe and a flat-screen TV. This studio features a terrace, kitchen, dining area and bathroom. Amenities include air-conditioning, heating, a safe and a flat-screen TV. 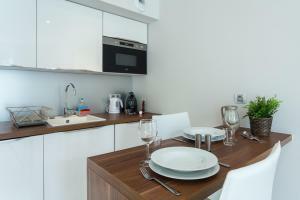 This apartment features a terrace, kitchen, dining area, living area and bathroom. Amenities include air-conditioning, heating, a safe and a flat-screen TV. This studio features a terrace, kitchen, dining area, living area and bathroom. Amenities include air-conditioning, heating, a safe and a flat-screen TV. 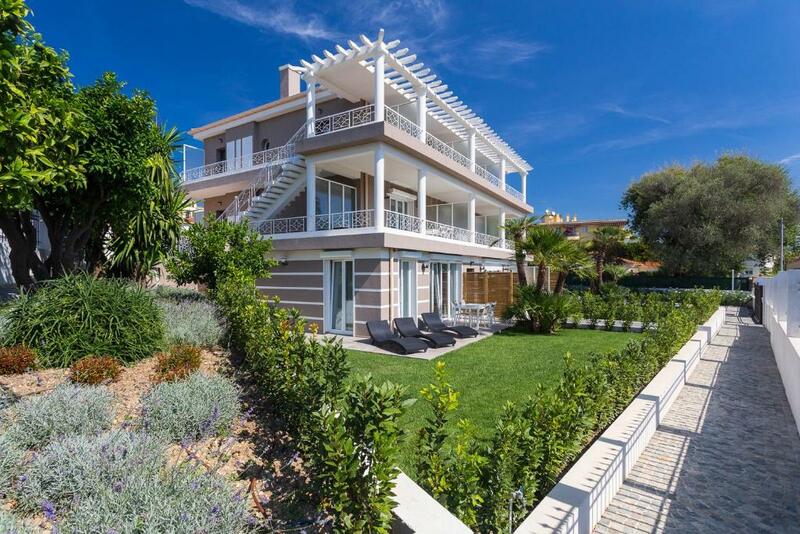 The VILLA VELVET is a tourist residence, if you are looking for some Hotel in Villeneuve-Loubet located between NICE and CANNES, between CAGNES SUR MER and ANTIBES, a hotel 500m from the beach in a quiet residential area, our residence Tourism is what you need. All with terraces or balconies, or private gardens, equipped and furnished with style, our apartments will offer you the best comfort during your stay on the French Riviera. We hope to welcome you soon in our residence for your holidays in the FRENCH RIVIERA. 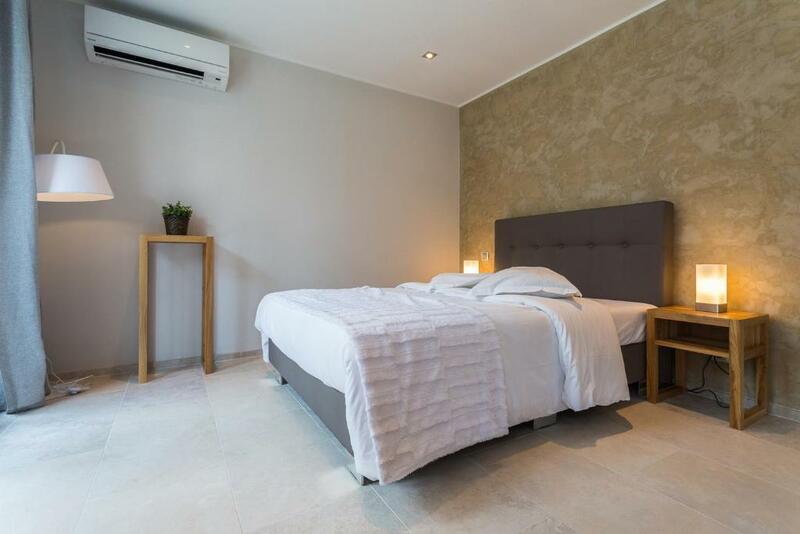 The Villa Velvet is ideally located in a quiet area 1 km from the train station. Nice city center is just 15 km away, while Nice-Côte d'Azur Airport is 11 km away. 500m from the beach where the restaurants are located. Only a few steps from La Villa Velvet there is a large supermarket. House Rules Villa Velvet takes special requests – add in the next step! Villa Velvet accepts these cards and reserves the right to temporarily hold an amount prior to arrival. Please inform Villa Velvet of your expected arrival time in advance. You can use the Special Requests box when booking, or contact the property directly using the contact details in your confirmation. I just have mentioned that the part of the bed is a little bit damaged but it's just because of the material quality or how gasts use it I think. Breakfast has to be ordered the night before and it is only served from 8:30 on which is too late when you have to go to work. The reception did not open as stated. When I left at 8:30 it was still close. The box where you leave the key is open so basically everybody can take your key and get in and the gate of the hotel was wide open. As the apartment has a built-in kitchenette, unfortunately the apartment smelt food. It was quite disturbing. Good location, nice kitchenette and balcony. Upon entry the room was a bit smelly (smell of food). Otherwise everything was fine. I would prefer to have better view. As the apartment is in the basement due to the vegetation, there are quite a lot of mosquitos. Toilet was in the living room. Chopping board was used. Hygienically, I don’t think this is appropriate. We stayed in the 2nd floor, there wasn’t an elevator. Beds were very small. No free water or capsules for the Nespresso had to be paid for , I think at least 2 should be given complementary. The apartment with garden in first floor, behind a building (number 01) was very bad, there was:damp air, dirty floor, bad cleanings , smoking smells . There was a small bad for 2 adult. A matress is too soft for us. It the first floor it very hot. Small place. Garden was not functional. So many old equipment in appartament. Some equipment must be repair. It is good place for rest with child’s.